"I believe art has to take responsibility but it should not give up being art." Anselm Kiefer's monumental, often confrontational canvases were groundbreaking at a time when painting was considered all but dead as a medium. The artist is most known for his subject matter dealing with German history and myth, particularly as it relates to the Holocaust. These works forced his contemporaries to deal with Germany's past in an era when acknowledgment of Nazism was taboo. Kiefer incorporates heavy impasto and uncommon materials into his pieces, such as lead, glass shards, dried flowers, and strands of hay, many of which reference various aspects of history and myth, German and otherwise. Influenced by his contemporaries Joseph Beuys and Georg Baselitz, as well as by postwar tendencies in Abstract Expressionism and Conceptual art, Kiefer is considered part of the Neo-Expressionist movement, which diverged from Minimalism and abstraction to develop new representational and symbolic languages. 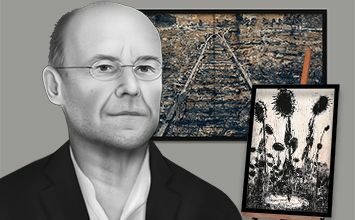 Kiefer is a history painter in the traditional sense that his art often deals with themes related to German history and national identity, including Norse legend, Wagnerian opera, and the Holocaust. The latter was an attempt to bring the Nazi period to the forefront of national conversations, often causing controversy. Kiefer's repertoire of imagery is wide ranging, incorporating representational and symbolic motifs, including sigils, occult icons, architectural interiors, and landscape elements to provoke an emotional and psychological effect on the viewer. Many of these make direct references to aspects of Germany's past, such as the forests that evoke famous battles or the fairytales of the Grimm Brothers. Kiefer is drawn to various and often unusual media for their symbolic potency. Natural materials such as straw, earth, and tree roots reference both time and patterns of life, death, and decay. Lead also has resonance for the artist both as a medium and a subject matter. It was the base material used in alchemy and he considers it the only material heavy enough to bear the burden of history. Derived from his interest in mythology, history, and knowledge, Kiefer often uses books as subject matter representing knowledge and civilization. Similarly, he frequently incorporates text into his paintings, including excerpts from poems, novels, and nationalist slogans as well as names of seminal figures, written in a scrawling script. Kiefer was born on March 8, 1945 during the final months of World War II. The son of an art teacher, Kiefer was drawn to art and saw himself as an artist. He was raised in a Catholic home in the Black Forest near the eastern bank of the Rhine, an environment that would play a formative role in his development as an artist and would provide imagery and symbolism for his work. 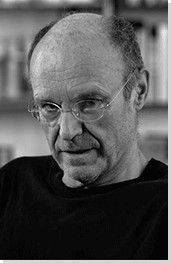 His family moved to Ottersdorf in 1951 and Kiefer attended grammar school in Rastatt. For his notorious first body of work, Kiefer created a series of photographic self-portraits that confronted, head on, the history of Nazi Germany. Dressing in his father's military uniform and posing in the Hitlergruss salute, Kiefer had his photograph taken in various politically significant locations in Switzerland, France, and Italy, including national monuments and classical ruins. This photograph shows the artist with his back to the viewer, facing the sea in a Romantic posture inspired by the German artist David Caspar Friedrich. As in Friedrich's painting Wanderer Above the Sea of Fog (1818), Kiefer's image depicts a man with his gaze turned outward, simultaneously dominating the landscape before him while being engulfed by it. By posing in a traditionally Romantic stance and extending his arm in the Nazi salute, Kiefer connects these two seemingly disparate periods of German history to suggest that Germany's love of country has been an enduring part of their history at least since the early-19th century. The imperialist and nationalistic attitudes of the Romantic era, instigated by Napoleonic invasions, were manipulated by the leaders of the Third Reich, leading to the tragedies of the Holocaust. While this work is stylistically very different from his later work, this series introduced themes that would become central to Kiefer's explorations of Germany's legacy and national trauma. Kiefer presented Occupations in his first solo exhibition at the Galerie am Kaiserplatz in Karlsruhe, Germany in 1969. Although his mentor, the artist Rainer Kuchenmeister, praised the work, the exhibition received negative criticism from Kiefer's colleagues and from the wider German public. Exhibited at the German Pavilion at the 1980 Venice Biennale, this monumental painting created controversy and was met with widely conflicting opinions. The painting depicts a cavernous, empty wooden room reminiscent of medieval architecture with tapers burning at intervals along the wall. The barren space leaves the existence of the German heroes mentioned in the title in question, perhaps implying instead that national identity must be rebuilt from scratch after the catastrophic events of the Holocaust. Some critics missed the irony of the title, German Spiritual Heroes, and thought the work encouraged a pervasive fascination with German culture, while omitting the legacy of the nation's brutality. Others saw it as a meditative reflection on German history and the country's reaction to its recent past. This motif of the interior was a recurring subject throughout Kiefer's work of the 1970s, as in his series of Attic Paintings. Much like Vincent van Gogh's portraits of his bedroom, these interiors reflect the psyche of the artist and the nation, imbuing the spectator with a distinct emotional response. Through the ominous depiction of the empty room, the painting engenders an unsettling feeling in the viewer, suggesting that something is amiss. As with the Occupations series, Kiefer sought to break the silence regarding the Holocaust to encourage regeneration and growth beyond it, thus the presentation here of an empty room waiting to be filled with new heroes. While Kiefer is considered one of the most important artists to deal with this taboo subject matter, he belonged to a wider milieu of postwar German intellectuals who struggled to transcend their country's shameful past. Kiefer's practice of directly appropriating Nazi themes, philosophies, and slogans, however, was contentious. As scholar Andreas Huyssen notes, for German critics, "Kiefer's deliberate strategy of opening a Pandora's box of fascist and nationalistic imagery amounted to a kind of original sin of the post-Auschwitz era." As such, the work was often misinterpreted as endorsing Nazi ideologies, rather than questioning them, provoking aversion and disdain from his audiences. Kiefer has stated that "our stories begin in the forest," so it is not surprising that forests are a recurring subject matter in his work. The theme is rich with meaning for the artist, particularly as a representation of German national identity as far back as the Teutonic era. It is this period that Varus references: the battle in the Teutoburg Forest, where in the year 9 BCE Hermann (Arminius), a deserter from the Roman army, in alliance with his native Germanic peoples, wiped out the Romans under the command of Varus, who fell on his sword after watching his men be massacred. The humiliating defeat was described by Tacitus in Annales, whose Germanica was rediscovered in the 15th century and came to form a bedrock of German identity as a people of superior virtue with an almost mythical bond to their land, a people who defeat those corrupted by cosmopolitanism. The names of some of those involved in the battle are written on the canvas, including Arminius and his wife Thusnelda, along with other names from German history and literature, all of whom played a role in the development of German national identity. The names of Friedrich Holderlin, Friedrich Klopstock, Johann Gottlieb Fichte, and Friedrich Schleiermacher are written in the branches of the trees as if to create a hall of fame. Martin Luther, Otto von Bismarck, Adolf Hitler, and others had looked to the ancient Hermann as a role model. The red in the snow represents the blood of the Romans as well as others massacred by Germans in the forest through the centuries. The path through the forest leads to a dead end, implying that a new, less violent way must be sought. The composition was based on a painting by Friedrich, The Chasseur in the Forest from 1814, in which a Napoleonic soldier wanders into the German woods towards his doom, again celebrating a military victory tied to the forest. In addition to the Roman and Romantic periods, forests played a major role in many of the German fairytales recorded by the Grimm Brothers such as "Hansel and Gretel." They were also resonant for Kiefer on a personal level; he grew up in the shadow of the Black Forest and his family would often hide there during periods of Allied bombing. One of Kiefer's best-known works, Margarete deals with themes related to memory, loss, and German history. As the culminating piece in a series, the painting is inspired by Romanian poet Paul Celan's searing work "Death Fugue," which recounts his incarceration in a Nazi concentration camp. Centering on two female characters - the Aryan-German Margarete and the Jewish-German Shulamite - Celan constructs a powerful account of the Holocaust, in which the fates of these two women are intertwined. Continuing his interest in literature and his use of text throughout his work, Kiefer transfers Celan's literary tropes into the visual arts to encourage the viewer to reflect on the tragedy of the Holocaust. In the poem, Margarete is blonde, symbolized in the painting by straw, which became a recurring medium for Kiefer, but which is used here for the first time. Drawn to its ability to be twisted and burned, Kiefer used straw for its symbolic reference to life cycles, racial purity, and the German love of land. Furthermore, its pliable, sinuous, and fragile materiality alludes to the tenuousness of life and inevitable decay. Straw also refers to the German legend of Rumpelstiltskin who spun straw into gold, much like an alchemist. Kiefer writes Margarete's name on the canvas in black and includes tangled areas of black paint along the bottom of the canvas that signify the silent presence of the Semitic Shulamite, and more generally, piles of dark hair at Auschwitz. Continuing Kiefer's interest in the creation and transmission of culture and ideas, this work considers themes related to books, a motif that recurred in Kiefer's sculptural works during the 1980s as he explored knowledge and its suppression under fascism. It was also in the 1980s that Kiefer expanded his interest in history beyond Germany to a more general interest in culture and civilization. The High Priestess/Zweistromland is a multilayered and densely symbolic installation. The piece consists of two enormous bookcases filled with approximately 200 oversized books made of lead. The bookcases are named after the rivers Tigris and Euphrates in Mesopotamia, which were the cradle of Western civilization; they are positioned in relation to one another to resemble an open book. The use of lead as a medium evokes Kiefer's interest in the medieval practice of alchemy, in which scientists tried to transform this base metal into gold, something that Kiefer sees as analogous to the art-making process. Complicating the symbolism, the lead books appear worn with time. They have been dipped in acid, torn, bent, burnt, and strewn with other materials, including dried flowers and photographs, all of which suggests the difficulty of transmitting and safeguarding knowledge over time. Some of the books, each weighing about 600 pounds, could theoretically be taken off the shelves and browsed, though this would require more than one person, symbolizing the weight of knowledge and human history that cannot be transported alone. Other books have been fused together so that the knowledge they contain is sealed off, representative of knowledge and learning under fascism. Seemingly contradictory, "The "High Priestess" of the title refers to a different type of knowledge than that which is transmitted through books. Rather, the High Priestess is one of the most powerful and mysterious cards in a Tarot deck, used for divining the future. Alchemy and tarot both refer to knowledge difficult to attain. By combining the mystical with other forms of information, Kiefer problematizes traditional notions of knowledge. Kiefer's massive sculpture visualizes creation as put forth in the Kabbalah, a collection of ancient Jewish mystical writings that describe the attributes of God as divided among ten vessels that were not strong enough to contain them. When the vessels were broken, only the virtues of Will, Wisdom, and Understanding remained while those pertaining to spiritual, moral, aesthetic, and material values were let out into the world - a world outside God's immediate control. The breakage symbolized the introduction of evil and the human condition into the world. The work consists of a 17-foot-tall bookshelf with 41 oversized lead books. Despite their overall gray appearance, each book has a unique character: some have textured pages, most look like volumes that have been worn from use with corners turned down or crumpled. Two books on the top shelf tilt out as if ready to fall. The books are decorated and interspersed with broken glass that merges with the glass on the floor in front of the work. The spirit of God is represented in the semicircular pane of glass suspended above the bookcase and inscribed with the word "Ain-Sof," Hebrew for "the infinite." The lead markers with Hebrew inscriptions attached to the bookcase symbolize the ten vessels of the divine essence. Eight are on the bookcase; one is at the base of the glass half-circle; one lies on the floor; all are connected by copper wire. The inscriptions translate as follows: (left-top to bottom) understanding, judgment or severity, and glory; (middle-top to bottom) crown, beauty, foundation and kingdom; (right-top to bottom) wisdom, mercy or love and victory. The words in this arrangement are the Kabbalistic diagram of the Tree of Life. As in so many of Kiefer's works, the sculpture has multiple layers of meaning. It can be seen broadly as a metaphor of the human tragedy and the cycle of rebirth and regeneration. It also alludes to the richness of Jewish culture and the many times it has been threatened throughout history, specifically during Kristallnacht when the Nazis shattered the windows (broken glass) of synagogues and Jewish storefronts in November 1938. Representative of his very large landscapes, Bohemia Lies by the Sea features a rich, complexly interwoven group of symbols, alluding to themes of death, utopia, and renewal. The title has multiple possible meanings. It references the poem by the Austrian poet Ingeborg Bachmann, in which the writer details the yearning for utopian society while lamenting its fallacy. It also refers to German Bohemia, now part of the Czech Republic, that was disputed territory after World War I until annexed by the Nazis in 1938. The monumental composition, divided directly down the middle by a dirt road, is typical of Kiefer's large-scale works that seem to engulf the viewer with their immensity as if to include the viewer as part of the scene. Landscape is a recurring motif throughout Kiefer's oeuvre that alludes both to German Romanticism and to Nazi propaganda, in which soil and earth represented emotional vigor, nationalist superiority, the Fatherland, and the Aryan race. The thick, heavily worked paint resembles land that is filled with history - a place where people have struggled, fought, and died. At the same time, there are indications of a brighter future. The wilting flowers and seemingly fallow fields waiting to be planted suggest cycles of death and resurrection while the road down the center implies hope for a better future: Germany must confront its past in order to transcend it. An uprooted palm tree, preserved in resin and fiberglass, lies on its side. On the wall hang 39 multimedia "vitrine" paintings that include palm fronds, seedpods, and dried roses arranged on parched soil. The paintings also contain the words "Palm Sunday" in various languages interspersed with verses from Isaiah, the Ave Maria, and The Crusade of Hercules. Palm Sunday is, like so many of Kiefer's pieces, a densely symbolic work with references to various traditions including Christianity, Judaism, and paganism. In all of these traditions, the palm tree is used as a sign of regeneration because of the consistent regrowth of its branches; its fierce, sword-like branches were also used as a symbol of military triumph in the Greco-Roman tradition and were attributes of the goddess Nike. Here, Kiefer juxtaposes the dichotomy of rebirth and regeneration with the uprooted palm tree that resembles a prostrate human figure: the cyclical nature of existence.